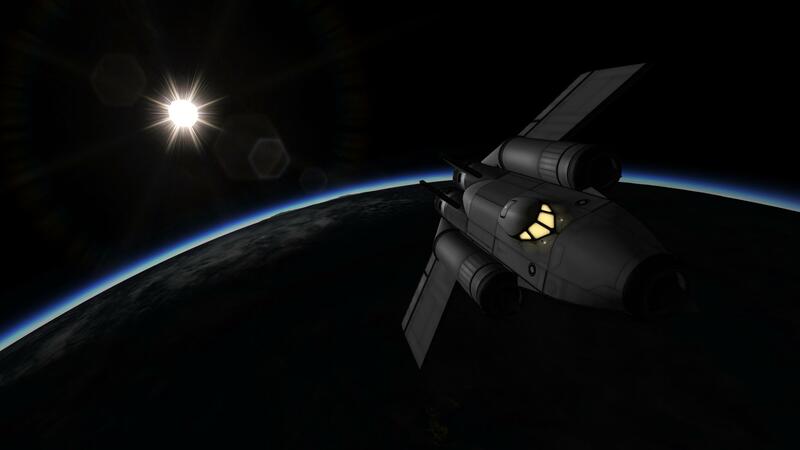 A mod aircraft called Charioteer (light SSTO). Built with 45 of the finest parts, its root part is mk2Cockpit.Inline. Please note: The craft pictured differs slightly from the craft you download. The main difference is some little wingtips, RTGs in the cargo bay and canards on the front to ease takeoff (the main wings are slightly moved back to compensate for the moved CoL). 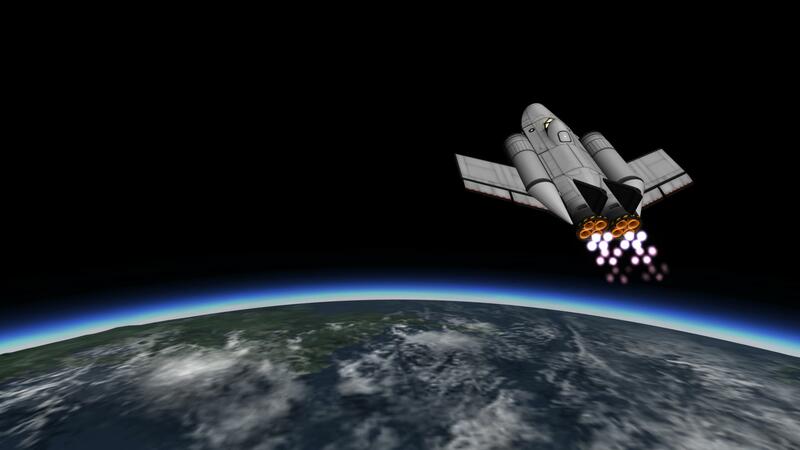 An incredibly easy to fly SSTO, it’s very stable and can maintain a roughly 30 degree pitch up until about 20km where levelling out and building speed should be done. It should climb steadily at roughly 100m/s vertical speed until ~30km where the air will start running out and airBreathing mode will not provide useful thrust. AG1 and 2 toggle Mode and intakes, so hit both and pitch up. 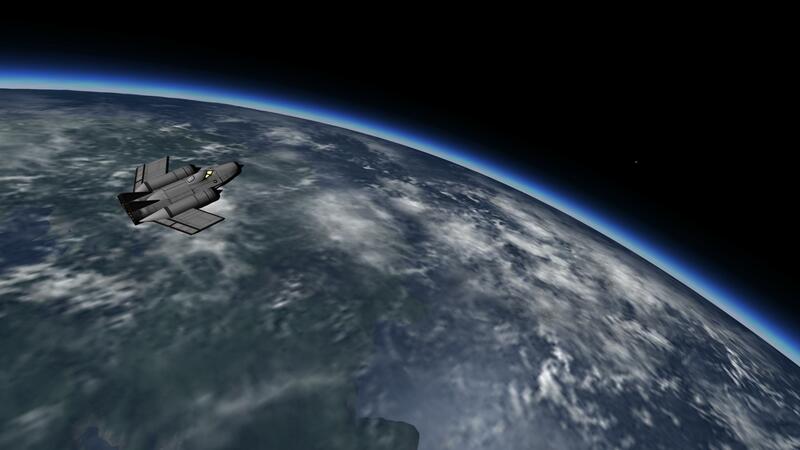 The first time I flew this (pictured), I ended up with 1.3km/s ΔV left in orbit so it should be quite forgiving. Fuel is drained from the side tanks first which are balanced around the CoM (also, the cargo bay is perfectly centered on it as well). I haven’t done any specialising on this so there’s no RCS thrusters or delicate fuel mass distribution - I literally made this in about 30 minutes, took it to space and posted it here. There’s 25 units of MP in the cockpit though, so feel free to add your own RCS to it. *no refunds if it crashes upon takeoff. The only mod parts used are KSLO slanted SRB nosecones - every other part is stock (with Vens Stock Part Revamp). FAR is required to fly this, I have no idea how stock soupodynamics will handle it and I refuse to experiment.